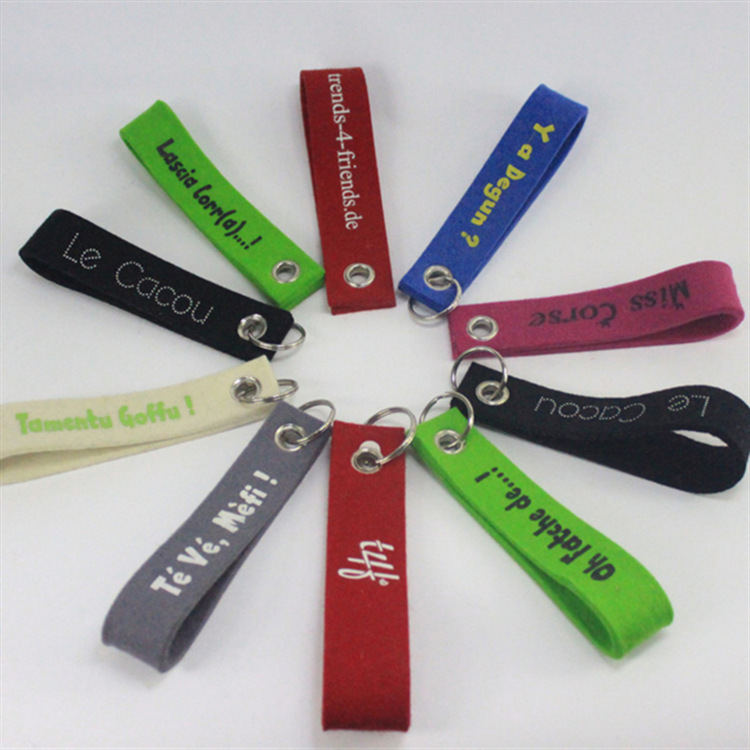 Felt key chains are a perfect gift with your company logo or slogan printed on them. Perfect for hanging keys around the wrist or on a hook. Customized size is available.